The European Commission and the European Space Agency (ESA) have awarded an Airbus-led consortium a contract for the provision of satellite-based seamless coverage of the entirety of Europe at very high-resolution. The consortium includes Airbus Defence and Space, Planet, Deimos Imaging, IGN-France and space4environment. This agreement is part of the Copernicus Earth Observation program for the European Union (EU). 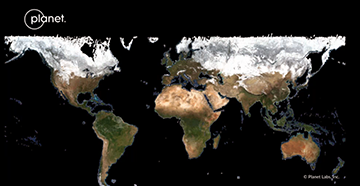 As part of the contract, six million square kilometers over 39 countries will be covered in 2018 with freshly acquired, very high-resolution, optical satellite imagery. The result-based approach of the procurement has led the European EO industry to federate and respond with a coordinated offer bringing together the strengths of each of the partners. The contracted solution leverages the latest in remote sensing and imagery processing technologies to deliver new data at an unprecedented scale and speed. 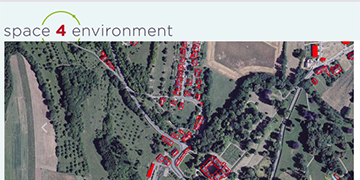 The data will feed the geo-information services coordinated by the European Environment Agency with which European institutions and governments implement their environmental and land management policies. François Lombard, Head of the Intelligence Business at Airbus Defence and Space, said that this contract shows the confidence of ESA in Airbus and its partners to fulfill such a demanding satellite imagery program. The company is proud to drive a consortium gathering such a unique combination of assets and together to deliver high quality full European coverage in record time. Will Marshall, CEO and Co-Founder of Planet, add that this is an important partnership for Planet as it brings together major players in the private and public sectors to leverage the firm's global, daily imagery to do something that has historically been very difficult to achieve. Europe is ahead of the curve in terms of public-private cooperation and turning data into a public good. Fabrizio Pirondini, CEO at Deimos Imaging, noted that his company has enjoyed a long, successful history of supplying satellite products and services to European public entities, such as ESA and EMSA. This contract, one of the largest Deimos has been awarded, demonstrates the value of the partnerships, as well as the company's increasing role as a key provider of imagery and geo-information products worldwide.